CAPE GIRARDEAU, MO. — St. Louis Cardinals manager, Mike Matheny, will be the keynote speaker at this year’s Arrow Leadership and Success Summit, the high point of the Arrow Leadership and Success Series, which is new to the publication this year. The summit will held at 7 p.m. Nov. 17 in the Show Me Center. The Show Me Center is a multi-purpose arena, located on the campus of Southeast Missouri State University, in Cape Girardeau, MO. Students and other people from around the area will have the opportunity to hear from Matheny about what it takes to lead winning teams and organizations. Source: krcu.com. 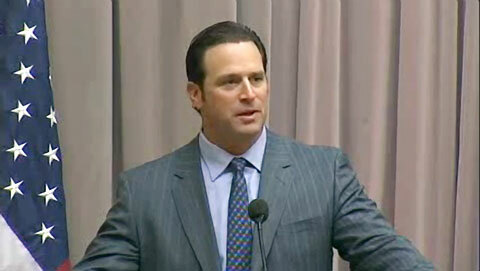 Photo shows Mike Matheny speaking about how to build great teams. Tickets are available for purchase through the Show Me Center Box Office or online at ShowMeCenter.biz. General admission tickets will cost $10 and there will be a limited amount of VIP tickets that will cost $99 and include a meet-and-greet and a photo with Matheny. Matheny is a former catcher and the current manager of the St. Louis Cardinals. He also played for the Milwaukee Brewers, Toronto Blue Jays annd San Francisco Giants. He was announced as the new manager of the Cardinals on Nov. 14, 2011, becoming the youngest manager in Major League Baseball. On April 4, 2012, Matheny won in his managerial debut with the Cardinals against the Miami Marlins in the first game of their new ballpark. Playing Field Promotions is a booking agent for motivational sports speakers and celebrities. If you would like to book Mike Matheny for a speaking engagement or personal appearance, contact Mike Matheny’s booking agent for appearance & speaker fees at 1.800.966.1380.